TWD is one of those rare comic series that I’ve been avoiding in order to read once the TV series finally comes to an end (soon… I hope…), but the temptation grows every day when I have this gut feeling telling me how much more superior the source material is. It’s pretty cool to see that Negan is still around and that he’s getting some spotlight focus nowadays. I can only imagine how awesome he must in the comics. What’s your take on the whole TV series vs. comics? Did the show butcher the comics? Is it just as good? Is it its own thing and does well for what it is? So far, I’ve considered the show as my guilty pleasure… It has its highs and lows.. but a lot of lows through the past seasons, for sure. Great review, sir. Am finally, essentially caught up with the book and discovered that Negan is indeed a much more complicated character than when first introduced. Great review, looking forward to reading it. 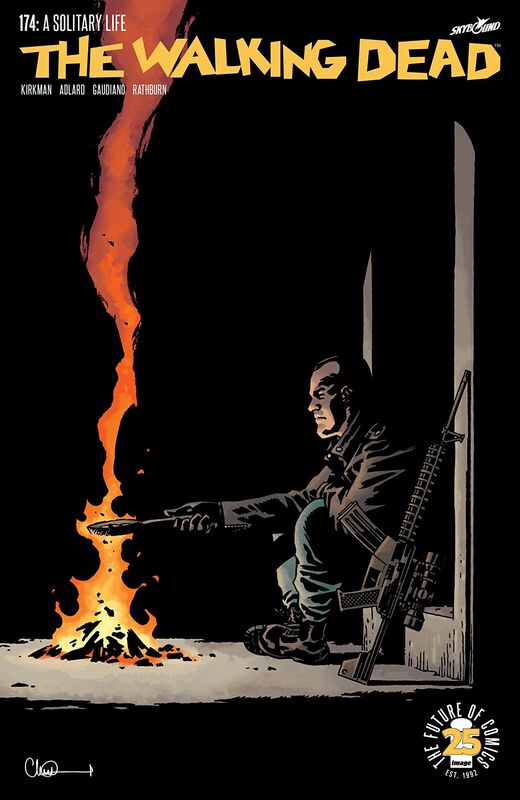 Have you read Here’s Negan? I was expecting more in character development since it detailed his past, but I was disappointed at the end of the book. I have, yes I must admit I felt the same about that one as well. However, The Walking Dead #174 does give us a bit more insight into Negan’s character than before, and the confrontation at the end is very powerful.